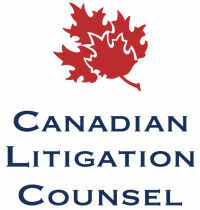 In Bundschuh v. MacDonald Development Corporation, 2018 ABQB 188, Master Mason dismissed a summary dismissal application brought by one of the defendants because the plaintiffs served a Standard of Care Report raising a triable issue.� In Bundschuh, the plaintiff alleges she slipped and fell five years ago on snow and ice on a pathway in her neighbourhood.� Several defendants were named including the developer, the property manager, the municipality, the home owners association and the maintenance contractor.� The maintenance contractor was responsible for the maintenance of the pathway, and as a result of maintaining that pathway clear of snow and ice, they applied for summary dismissal of the claim against them. Master Mason was not willing to summarily conclude that the contractor's winter maintenance system was reasonable.� Interestingly enough, the plaintiffs applied for a summary judgment.� That application was also dismissed as a wide variety of outcomes could result at trial, including apportionment of liability amongst the other defendants and a finding of the plaintiffs' contributory negligence. There are two propositions Bundschuh stands for.� First, even though a contract will specifically direct a contractor to clear snow and not ice, there is risk that if the contractor takes any steps outside the scope of the contract, there will be a finding that the contractor assumed more responsibility for the area they were hired to maintain.� Second, when applying for summary dismissal, there is risk that a respondent will file expert evidence which could serve to raise a triable issue such that the Court is unable to summarily dismiss the action.